Laois Hire is the official agents for COMPAIR compressors in Ireland. Laois Hire now stock the full range of COMPAIR compressors in our Laois branches. High-precision construction projects in Laois demand that the efficiency and reliability of compressors is of the highest calibre. 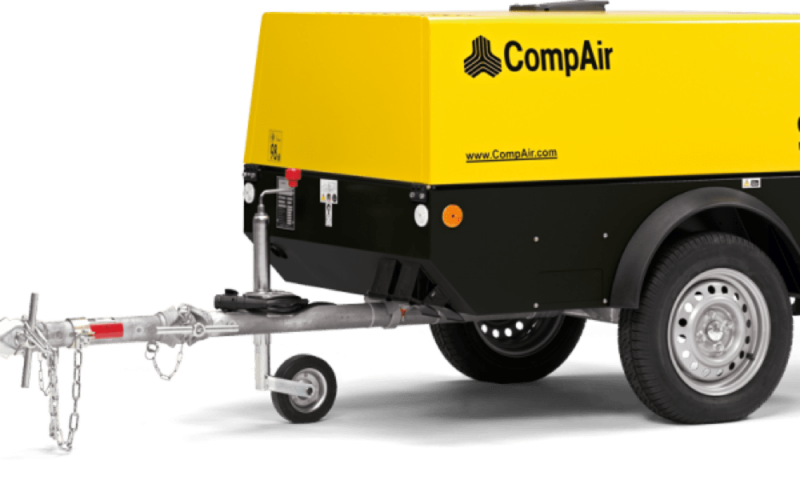 CompAir stands for continuous innovation and development of compressors and compressed air equipment. Ground breaking compressed air technologies, such as Quantima, deliver superb efficiency and performance. Plus, with a dedicated in-house airend manufacturing, CompAir is able to specifically influence the performance of the compressor to achieve the highest levels of reliability and efficiency.